Re: Glenn Greenwald's "The creepy tyranny of Canada's hate speech laws"
Greenwald, however, is under the mistaken impression that what he calls "Canada's intrinsically subjective 'hate speech' laws" are responsible for this situation. He makes no mention of the Charter, nor this country's robust protections for political speech, instead equating a university official's letter with Big Brother-style thought policing. Canadians' evident distaste for Ann Coulter has nothing to do with our laws, and everything to do with our advanced civil society. We're not a police state, we just don't countenance the pathetic infotainment that passes for political commentary in the United States. Unlike in America, our newscasters are more than babysitters waving shiny toys to keep us distracted between Cialis commercials. We're much the better for it. We allow political expression of all stripes, pushing social and political discussions to their logical limits in precisely the style of liberty John Stuart Mill envisioned. We just don't allow inflammatory hate speech. As a result we seem to have less hate. Greenwald's main error is his conviction that all speech is of equal value. It is not. In a country as diverse as this one, verbal attacks on visible minorities serve no legitimate purpose, and are prohibited. This is not an arbitrary or draconian law, it's a progressive one. We have simply elevated the cliché of shouting "fire!" in a crowded theatre to the national level. No sane country allows any person to say anything at any time. Such extremist libertarianism leads to real disasters, not to mention the Hobbesian breakdown of society. The theoretical underpinnings behind the cliché are the same as those which justify limiting hate speech against vulnerable groups. 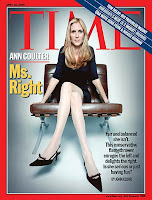 Ultimately, Ann Coulter, abhorrent though she is, does not pass the threshold for hate speech. She would not be prosecuted in this country for the simple reason that she is not taken seriously enough to warrant such official sanction. But that doesn't mean a respected university must ignore public outcry and let this hateful woman take up valuable campus real estate to spew her self-aggrandizing filth. 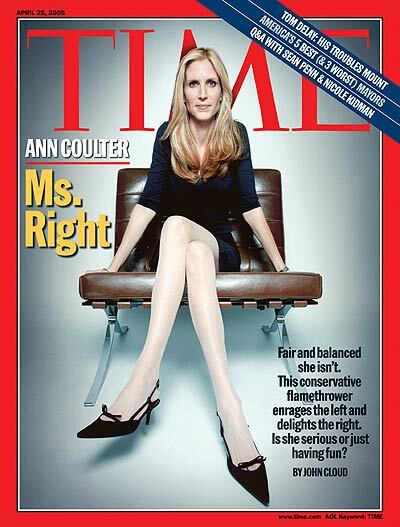 Limiting Ann Coulter's exposure is a valuable public service. It's not evidence of our Canadian closed-mindedness. It's a demonstration of our good taste. 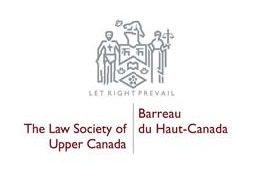 Seems they've pulled everything forward two weeks, meaning I'll be writing the Ontario Barrister exam on May 25, and the Solicitor exam on June 8, two weeks before the original dates for both. As class ended, students erupted with complaints. Most seemed to center around travel plans now destroyed, and deposits likely lost. "Travelocity is getting an email today," claimed one individual, sounding resigned. I made my own cursory objections via a status update and my MSN display name, bastions of lazy protest both. But, really, this development might just play right in to my hands. How would I have used those extra two weeks? Studying? Hardly. In all likelihood I would have spent as much time as possible sitting outside in the spring sun, resuming my annual game of chicken with the family history of melanoma.1 Certainly I would have had my exam materials with me, but a good patch of afternoon sun demands an equally good nap, and the outdoors are not conducive to reviewing papers and books in an organized fashion. Now, due to these new time constraints, I'll have to find somewhere to get some real work done. Best of all, the keeners are in the same boat! There was no way I would properly use the ample time I had been given. But the Other Half would have. Now much of their advantage has been wiped away. I've spent my life doing things at the last minute, with little preparation and even less review, while they went to office hours and asked questions of profs, and created multiple drafts of their work. Foolish. In the span of one month, I will have to relearn everything I've forgotten over the last 6.5 terms (the silly dual-degree program requires a summer term of American tax law--also blissfully forgotten), the real estate law to which I currently pay negligible attention in class, the entirety of family law (avoided like the plague), and any number of other testable subjects I don't even know about. Daunting, certainly. But I've been training for this, while the keeners have not. By never doing anything early, wasting valuable study-time reading Batman comics and writing inane blog posts, I've developed a heightened ability to perform under time constraints. I'm like a blind man with a refined sense of smell. 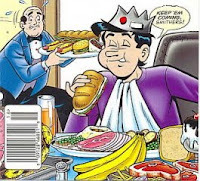 Or like Jughead, when he claimed to have developed the most powerful jaws in Riverdale through disciplined food consumption. Now there's a guy who knows when a good nap in the sun is called for. So here's to the procrastinators, the real beneficiaries of LSUC's erratic behaviour! 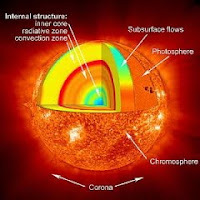 1On the other hand, melanoma may have the upper hand this year, as some of the time I spend outside will shift from the comparatively weak sun of early-May to the burning power of mid- to late-June. By July, it will be time to book a new appointment with the dermatologist. Parliament enacted those objectives to guide the courts in fashioning sentences that are just and appropriate to the circumstances of each case. By looking beyond the obtuse imperative to “get tough”, a judge can craft a sentence that neither threatens the safety and security of the public nor condemns the offender to a lifelong cycle of recidivism. Equitable and progressive though they might be, however, Parliament’s sentencing principles do not take into account the backlog that plagues the criminal justice system. Too often, prisoners languish in dangerous, dirty, overcrowded jails for weeks and months before their cases can be heard. To be sure, giving double credit was a bandage on the problem, not a curative. Jail conditions remain execrable, and the Attorney General’s “Justice on Target” initiative has only just begun to rein in administrative delay. But instead of curing these ills, the government has decided to rip off the bandage. In that respect, Maclean’s is right: it’s a no-brainer. It's the day after reading week. I've been on the Olympic Tourist diet for two weeks: nachos, wings, caesars and beer, some of the foregoing items recurring more frequently than others. My suit feels more ill-fitting than usual as a result, and I was already half way to looking like Columbo as it was. My browser thinks that "caesar" is spelled wrong, because the world outside Canada is missing out on that sensational beverage. I'm with a new judge this week: Judge C-----. She is a recent appointment; prior to this she was a crown in Scarborough. She says Scarborough is a better place to prosecute than downtown, because you get thrown into the deep end faster. I don't know why everybody likes the deep end so much. She hasn't quite mastered the corridors of Old City Hall yet: she doesn't know where all the secret stairwells go. She does know that there used to be a morgue in the attic, to accommodate the men who were hanged in the central courtyard. The pipes that fed the tubs are still visible, she says. I don't know what morgues use tubs for and I don't ask Her Honour. Still though: why would anyone want to work elsewhere than here? This morning I watched the trial of an individual charged with assault. The charge arises from a brawl in front of a nightclub -- the same one mentioned in the prosecution of the MMA fighter two weeks ago. It must be a bad news place. The alleged victim showed the court pictures of his injuries. According to him, just as he was leaving the club, he was punched in the back of the head by unknown aggressors. Outside the establishment some time later, he flagged down a taxi, but before he could get into it a group of young toughs beckoned to him and showed him their rings, which were caked with blood from the back of his head. The young toughs (see composite at left) challenged the complainant and his friend to a duel, noting that their numbers were even-strength. The complainant alleges that he did not accept this challenge but the accused and his friends began raining blows on him nonetheless. One of these blows resulted in a scratch on his cornea. His friend tried to intervene on the complainant's behalf and likewise went down. I used to be a bouncer. Not a strong bouncer or one who was at all effectual, but a bouncer nonetheless. I have heard this song-and-dance before: the victim, just trying to make his way home, stymied in his efforts by a persistent aggressor whose only apparent motivation is bloodlust. It has never rung true for me and it does not ring true here. If you wanted to get into a cab and peace out, could the accused really have stopped you? Or did you turn back and defend your honour from some drunk idiot whom you have never seen before and will never see again? Some young men (and some old men -- see below) ascribe much importance to not backing down from fights. The justice system doesn't care that you were defending your own honour, your buddy's honour, your girlfriend's honour or the honour of your Stacy Adams shoes. If two people apply force to each other without consent, they have both committed assault. Worse: no matter who started it, the party who wins the fight is the party against whom it is most expedient to lay charges. Had he been a better fighter, the complainant might have been the accused. The lead investigating officer looks just like Idris Elba. The crown looks just like Sam Waterston. They make a good team. A question for defence counsel: do you ever advise your clients about proper court attire? Maybe recommend to a young client that he shave his teen 'stache before leaving home, and pick a shirt with buttons over his black housebreaking-issue hoodie? The court is composed of people, for better or worse. Mightn't those people be more inclined to leniency if the accused before them doesn't tickle their prejudices by dressing the part? By bringing this up, am I being classist and/or racist, or just pragmatic? Either way, aren't I keeping the best interests of my client at heart? A word that the crown made up?